Owning or running a restaurant is a full-time job — in which a plumbing issue can bring daily operations to a halt in no time. The plumbing in your restaurant plays an integral role in your daily operations. Without it, even a small issue such as a clogged drain can become the difference between being open for business and missing out on customers and revenue. Restaurateurs throughout North Central Florida recognize Sunshine Plumbing and Gas as reliable commercial plumbers who keep their businesses going. Whether the bathroom plumbing needs preventive plumbing maintenance or the kitchen drain is clogged, our plumbers use the latest tools and techniques to keep your patrons and staff happy. With years of experience, the most current tools, and unmatched skill, our plumbing repair company will promptly troubleshoot and repair any type of commercial plumbing issue, so you can focus on other important aspects of your business. What Are Common Kitchen Plumbing Issues? It goes without saying that if your restaurant kitchen has a plumbing issue, you’re likely going to be closed for the day — at least. Downtime means less revenue for your business, making fast and quality repairs a necessity. Our plumbers are available around-the-clock to repair any plumbing issue and have the kitchen operational again in no time. Blocked drains, corroded water pipes, and dishwasher problems are the most common restaurant kitchen plumbing issues we come across. Food particles, oils, grease, and fats tend to find their way down restaurant kitchen drains no matter how much you try to prevent it. As they build over time, they can and will cause clogged drains while also putting pressure on the pipe and possibly causing the pipe to burst, which requires sink drain repairs. Regular maintenance from can help keep the kitchen plumbing free and clear of blocked drains and clogged pipes before they cause a kitchen closure. If your restaurant is situated in an older building, chances are the water your restaurant uses each day flow through steel or copper pipes. These materials were frequently used during construction, but they easily corrode and leak. Our experience with commercial plumbing includes maintaining, repairing, and replacing outdated pipes in restaurants. Contact us today to get more information about our piping services. 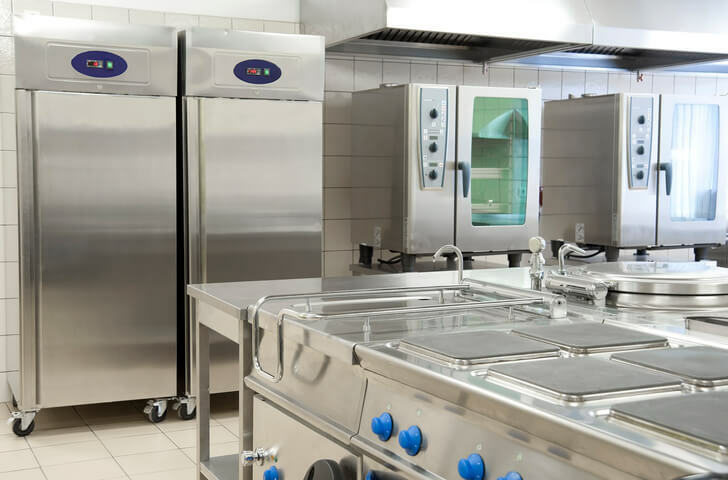 Restaurant dishwashers are one of the most important appliances for keeping a steady flow of clean dishes, silverware, glasses, and cooking supplies readily available for customer and employee use. But because of their frequent and regular use — and without proper care and preventative maintenance — commercial dishwashing machines can fail when you need them the most. Prevent a shortage of dishware by calling us for dishwasher service and repairs. What Are Common Outdoor Kitchen & Bar Plumbing Issues? Adding an outdoor kitchen and/or bar is a popular addition to many restaurants, especially if there is already outdoor seating for patrons. But with any kitchen exposed to the elements, outdoor plumbing issues can arise. Plumbers in Florida don’t often have to repair frozen pipes, but they are a possibility for outdoor restaurant kitchens, especially if the pipes weren’t well-insulated during installation. We can help you winterize and insulate outdoor plumbing before there’s a hard freeze in Ocala. Many restaurants rely on gas for a stove and/or oven and water heater fuel source. Though rare, gas lines can leak if the line is damaged in any way. Our technicians respond and immediately repair all gas lines to ensure the safety of your customers and employees. The drains and pipes used by an outdoor kitchen can get even less of a second thought because most outdoor restaurant kitchens are smaller than the indoor kitchen and don’t serve nearly as many patrons. But this doesn’t mean they won’t or can’t develop drainage issues, such plumbing and water leaks. You can count on our plumbing repair company to troubleshoot and repair any issue to your outdoor kitchen with minimal downtime and top quality service. How Can I Prevent Common Bathroom Plumbing Issues? An out-of-order bathroom is more than an inconvenience; it can be the difference between customers staying or leaving without ordering from your restaurant. The most common plumbing issues for restaurant bathrooms are clogged toilets. While they can quickly become a headache, there are ways you can lessen the chances of a clogged toilet slowing down your restaurant. Ditching paper towels not only keeping them out of the landfills but also reduces the chance of them being stuck in the sink drain or flushed down a toilet, leaving you to deal with a clogged toilet drain. If the drains become clogged for any reason, contact us for prompt repair! We know it isn’t always possible, especially when the restaurant is busy, but having employees keep an eye on the bathrooms can alert them and you to any possible issue before it becomes a problem. The earlier a plumbing issue is discovered, the sooner a plumber can repair the issue. Regular maintenance is a great way to keep a restaurant bathroom open and repair any issue before it becomes a problem. Our range of plumbing services is performed by licensed plumbers who stay current on the newest technologies, local regulations and codes, and repairs for restaurants of all size. Feminine hygiene products are notorious culprits behind clogged toilets and other drains in restaurant bathrooms. Provide a disposal receptacle for customers to use and reduce the chance the products end up being flushed.